Beginnings, they are such tenuous times. Except on Doctor Who, where nearly every beginning is also an ending. In less than two weeks, the Doctor returns to our television screens with a new face: Jodie Whittaker. 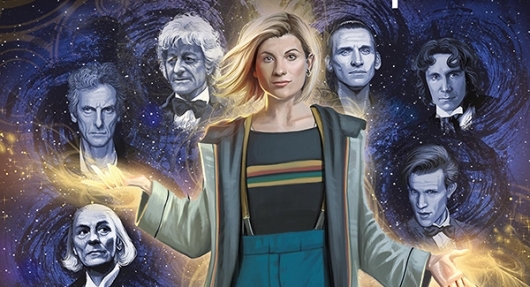 To celebrate a moment that’s only happened a dozen times in the last 55 years, Titan Comics assembled Doctor Who: The Thirteenth Doctor #0 with an intriguing premise. Attention all fans of The Walking Dead, here is a new book that compiles loads of information pertaining to the comics. As it is being published by a comic company, I felt inclined to share it with you! 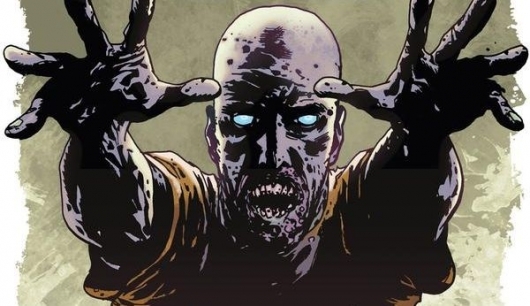 The Walking Dead: Companion To The Comic Series is currently 33% off so click on the linked cover price above and enjoy! 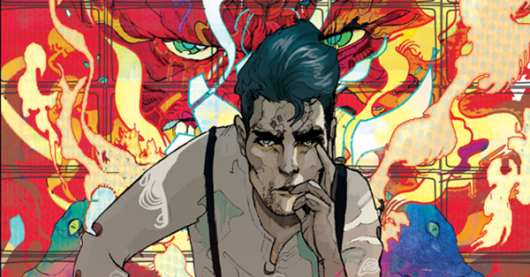 Welcome to my first review of a Valiant Entertainment comic! I present to you the delightfully dark Shadowman #6. Set in New Orleans, Louisiana, it really draws on that creepy voodoo-like vibe that one feels when they visit ‘The Big Easy.’ But it’s not just drawing on the world as we know it, Shadowman also reveals to us a world that we are completely unaware of in our mundane lives. We are shown the Deadside, a parallel universe of horrific nightmares that seeks to break down the tenuous barriers that separate our two dimensions from one another. First off, we have Jack Boniface as the new Shadowman, having had his powers bestowed upon him by a loa (keeping with the regional theme of voodoo). His current (and ongoing) job is protecting our world from the Deadside. And while he may still be learning about his new abilities, he is being kept quite busy dealing with a group called the Brethren. We learn that these powerful Brethren are desperate to restore a necromancer named Master Darque to our world, which would bring about untold horrors and destroy our very existence. Then we have a very mysterious, tattooed gunman who is working a different angle against the Brethren at the behest of an old, almost forgotten, local deity named Baron Samedi. 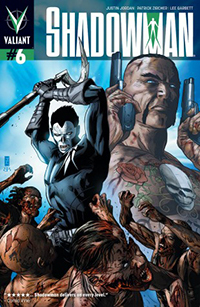 But this demi-god is in negotiations with Master Darque–negotiations that could prove troublesome for the Shadowman. Though, as with every underworld deal, not everything is as it seems.